The vehicle is not an affected model for the recall. The vehicle is not in the affected production year for the recall. The vehicle is not an Australian supplied vehicle. Please contact us on 1300 659 307 between 8.30 am and 5.00 pm on business days or email takata_au@daimler.com and we will confirm if your vehicle is affected. Mercedes-Benz Australia/Pacific and Mercedes-Benz Vans Australia Pacific are conducting a compulsory safety recall for certain vehicles equipped with Takata airbags in accordance with the Recall Notice issued by the Assistant Minister to the Treasure Hon. Michael Sukkar. Mercedes-Benz vehicles in Australia ARE NOT fitted with "Alpha" Takata airbags, which are the high-risk inflators you may have heard about in the media. We will continue working with the ACCC on the recall rollout schedule and timelines mandated by the compulsory Recall Notice. 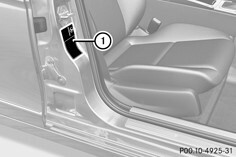 The affected airbags will be replaced in stages, as the replacement airbags are currently in production. The staged recall is designed to prioritise the oldest vehicles and those located in High Humidity/High Temperature areas Queensland, Northern Territory and Western Australia. This will ensure an orderly and responsible use of parts availability and give priority to those vehicles that may have an increased degree of risk. If your vehicle is included in the compulsory recall then your vehicle’s affected Takata airbag inflators will be replaced as part of a staged approach according to vehicle age and location factors. Specific details of the staged approach with regard to the Priority Factors from the Recall Notice of the affected vehicles can be found in the links below, for the Recall Initiation Schedule and Recall and Replacement Timetable. If you have a hearing or speech impairment requiring assistance please utilise the Australian Government National Relay Services via internet-relay.nrscall.gov.au or please email takata_au@daimler.com. What vehicle models and year range are affected? Why does the VIN search result show a different model year to what I expected? The VIN search result shows the “model year” of your vehicle. It is possible that your vehicle was produced in a different year to the model year – this is known as the “production year”. However, the VIN (and not the model year or production year) will ultimately determine whether your vehicle is affected by the recall. Owners will be sent a letter to their postal address. The address used will be that listed in information we obtain from state or territory registration authorities or our own owner data. In order for us to be able to contact you if and when your vehicle may need to be recalled, we strongly encourage you to update your contact details directly with us here and with your state or territory registration authority. Yes, there are no ‘Alpha airbags’ in any Mercedes-Benz vehicles in Australia however, if and when you receive a letter asking you to have this Recall performed by an authorised Mercedes-Benz retailer, please contact the retailer as soon as possible to book your vehicle in for the airbag to be replaced. If you are not the only driver of this vehicle, please inform all other drivers of this important information. Are there concerns with other airbags in the vehicle? No. 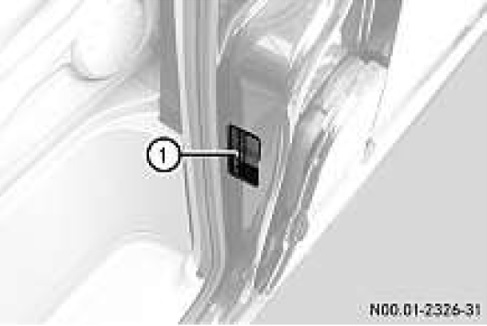 This condition only applies to the frontal driver and/or passenger airbag inflator. Other Takata airbags in the vehicle are not affected by this condition and will not be subject to this recall and replacement. The recall only relates to specific types of Takata airbags. We sincerely regret any inconvenience this may cause and thank you in advance for your active participation in finalising the matter. Our Authorised Retailers will make every effort to meet your appointment preference to minimize any inconvenience this unscheduled workshop visit may cause. Should you require alternative transport or arrangements to be made to enable the completion of this recall please discuss these with the Retailer when scheduling your appointment. In cases where your vehicle only requires the replacement of the driver’s airbag, the repair measure should take approximately one hour, the Retailer will make every endeavour to perform the repair while you wait. Other models are not included because this recall pertains specifically to vehicles equipped with certain types of Takata airbag inflators. How do I find further information or raise a concern about this recall? If you have any concerns relating to this recall, you can contact us on 1300 659 307 between 8.30am and 5.00pm or email takata_au@daimler.com. Alternatively you can contact the ACCC on www.accc.gov.au/ or 1300 302 502 between 8.30am and 5.30pm. What if my vehicle has had a frontal airbag replaced following a collision or other incident that any replacement airbag installed in the vehicle may be faulty and require replacement? The replaced airbag in your vehicle may also be faulty and it could kill or seriously injure you and other people and require replacement, you MUST contact us on 1300 659 307 between 8.30am and 5.00pm, or email takata_au@daimler.com, or contact your closest authorized retailer to arrange for the airbag to be checked. Why are not all affected vehicles being recalled at once to have the affected airbag inflators replaced?